Akeyulerre was established in 2000 by Arrernte Elders and community members as a place for all Arrernte people to practice and enjoy their cultural life on a daily basis. 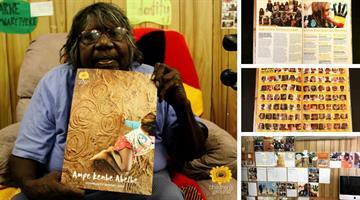 The Akeyulerre Healing centre in Alice Springs was set up by the Akeyulerre Elders and members of the Arrernte community. The centre promotes traditional cultural practices integral to the wellbeing of the community. The centre aims to protect and strengthen the expertise and ability of Aboriginal people to address the many problems facing their community. 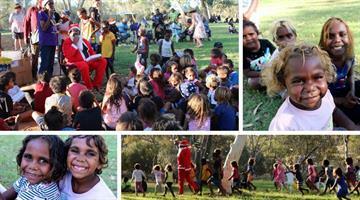 Children’s Ground and Akeyulerre work together with many of the same Arrernte families. Akeyulerre's approach is consistent with the philosophy and aims of Children's Ground. It is critical that local people have agency over their future to enable real and enduring change for the next generation of children and their families. A strong cultural identify is critical, building Arrernte values while ensuring that young Aboriginal people are happy and healthy and have skills for the future in a global world. The vision of the community is to heal people together. Akeyulerre facilitates traditional practices such as ceremonies and the sharing of culture through song, story and dance and connects community members with traditional healers, with bush medicines, bush foods, and each other. It also provides health and community education and family support. 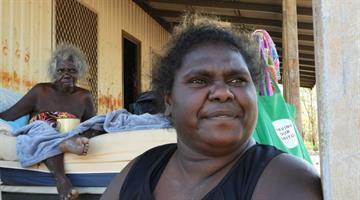 Women who visit the centre also make and distribute traditional bush rubs and balms in the Arrernte community. Interrentye Body Products was formed as a community enterprise initiative of the Akeyulerre Healing Centre where young women can gain skills and experience in running a small business. The women who make the natural bush balms and rubs now are sharing their traditional products with the wider community. Children’s Ground acknowledges and honours First Nations peoples, paying respect to Elders past and present as custodians of this land. In Melbourne we live and work on the land of the Wurundjeri People of the Kulin Nation and in Central Australia on the land of the Arrernte People.